Last month, I noticed a strange blob in the roses on my balcony – it was a cluster of tiny Garden Cross Spiders, which were amazing to watch as they milled around their tight net. 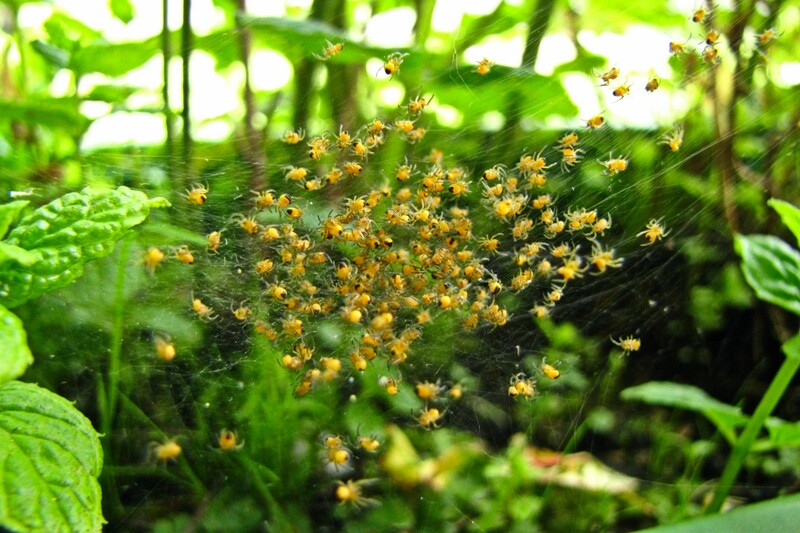 Sometimes they were all cuddled together in a ball, but mostly they just wriggled around – they were there for two days and on the third day they were all gone as if they had gotten their marching orders. Curiously this was almost in the same spot in which the blackbirds had built their nest all those years ago – I guess this balcony flowerbox is a good hatchery for all sorts of species!